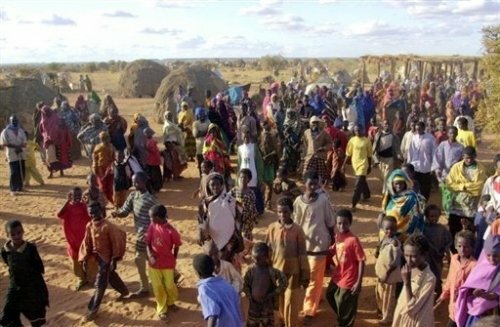 Ethnic clashes in Moyale area, southern Ethiopia, are reported to have left at least 18 people dead and 12 others injured. More than 20,000 people have crossed into Kenya to escape the fighting, the Kenyan Red Cross says. People were continuing to cross the border although Ethiopian government forces had intervened to stop the fighting. The clashes, in the Moyale area, are thought to have been sparked by a simmering dispute over land rights. Fighting involving the Borana and Garri communities is said to have started mid-week, and to have continued until Friday. Local reports speak of armed militias taking up positions in outlying villages on Wednesday, with the fighting spreading to Moyale town, on the Ethiopia-Kenya border, on Thursday. Many of those who fled across the border into the Kenyan side of Moyale are having to sleep out in the open. The Red Cross says it is providing those who have been displaced with food, water and tarpaulins.